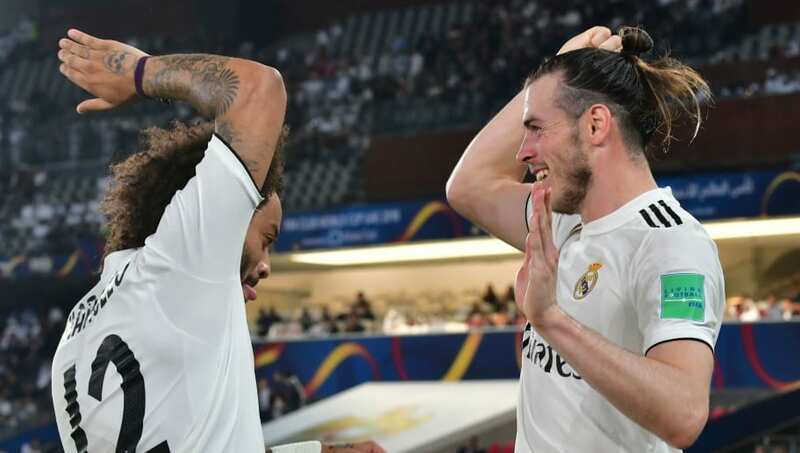 ​​Real Madrid star Marcelo has opened up on his relationship with Gareth Bale at the Bernabeu, revealing that he communicates with the Welshman in gestures because the winger only speaks in English. Bale moved from Tottenham Hotspur to Madrid in 2013 and despite being in the capital for six years, is yet to learn Spanish, which no doubt alienates him from the rest of the team. With Cristiano Ronaldo and Kiko Casilla no longer at Madrid, the Brazilian does admit that he feels lonely in the dressing room at times. "Now I have no one by my side, I have Bale on the other side, but Bale does not speak, he only speaks English, we speak with gestures and say "hi, hello and good wine." Marcelo said to ​Marca. Bale's future at Madrid remains uncertain as reports have claimed that he is not liked the Bernabeu faithful, with ​Sport revealing that his introverted personality does not fit well with the rest of the group. The emergence of Brazilian wonderkid Vinicius Jr too has put his place in the side in jeopardy, though there is no doubt that he is still one of the best in the world as seen by him recently registering 100 goals in Madrid colours.